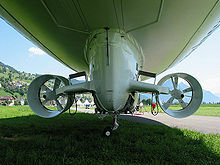 ^ "FAQs – Business of blimps". Goodyear Tire and Rubber Company. Archived from the original on 2010-03-02. Retrieved 2009-12-13.